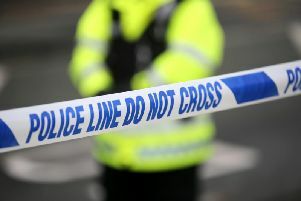 Police in Derry are asking people to be on the look out for bogus callers. Chief Inspector Alan Hutton called on people to be careful when opening their doors to strangers. Bogus callers use many guises, such as working for an electricity company, the water service, a satellite or cable TV provider and even pretend that they have lost a ball or even a cat or dog in your property. Once they have your attention, an accomplice will make an attempt to sneak inside without you noticing so he, or indeed she, can steal things like jewellery, cash, mobile phones and other devices. Whatever they can get their hands on they will try to take and you won’t know what has happened until they are gone. “You can use the Quickcheck number - 0800 013 22 90 to check if a caller is genuine. The 24-hour Freephone service enables householders to challenge and independently verify the identity of anyone calling at their door,” added Chief Inspector Hutton. “The call is free and will be answered by a trained operator. They will take the details of the company, which the caller claims to be visiting on behalf of, then contact the organisation to determine if the caller is genuine. If there is anything suspicious the operator will contact the police directly. Think before you open the door – use your chain and spy hole or look out of the window to see if you recognise them. Ask callers for proof of identity. Genuine tradesmen should carry a photographic identification card. Check this carefully, if unsure ring Quick Check. Beware of callers who attempt to distract you by claiming that they have seen something untoward in your rear garden or somewhere that may encourage you to leave your house – they may have an accomplice who is waiting to act upon this distraction. If you are not convinced of the identity of the caller, don’t let them in. Ask the caller to come back later and arrange for a friend, relative or neighbour to be present on their return.